Sometimes a damaged or decayed tooth just can’t be saved and must be extracted. Trust expert dentist Dr. Durgesh Thaker to evaluate your teeth and perform any necessary extractions in the safest, most pain-free way possible. If you live in Tamarac, Florida, and need treatment for a loose, decayed, or broken tooth, call his office or book an appointment online today. Dr. Thaker may determine a tooth needs to be removed from its socket if it’s been broken or damaged by decay. He will make every effort to save your tooth first with a filling, crown, or other treatment. In some cases, however, you have no choice but to have the tooth extracted in order to prevent the development and spread of infection. 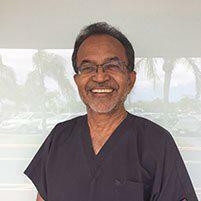 Dr. Thaker administers local anesthesia and sometimes conscious sedation and nitrous oxide (laughing gas) to relax you during the procedure and numb the treatment area. Simple extraction: Dr. Thaker uses an instrument called an elevator to loosen the tooth from its socket and forceps to extract it. Surgical extraction: This procedure is more complex, requiring an incision in your gum line. You may need a surgical extraction if a tooth has broken off at the gum line or has not yet erupted. During an extraction you may feel some pressure, but no pain. If you have painful sensations or pinching, alert the doctor immediately. How should I care for my mouth following an extraction? You may have some residual soreness following an extraction that can easily be relieved with over-the-counter pain medications, such as nonsteroidal anti-inflammatory drugs (NSAIDs). Soreness resolves more quickly following a simple extraction; you may have more pain after a surgical extraction, and Dr. Thaker may give you a prescription for pain medications. After a complex, surgical extraction, Dr. Thaker and his team will provide you with complete aftercare instructions, including dietary recommendations. If you have a decayed or damaged tooth, consult Dr. Durgesh Thaker to determine whether extraction is the best course of treatment. Call his office or book an appointment online today.